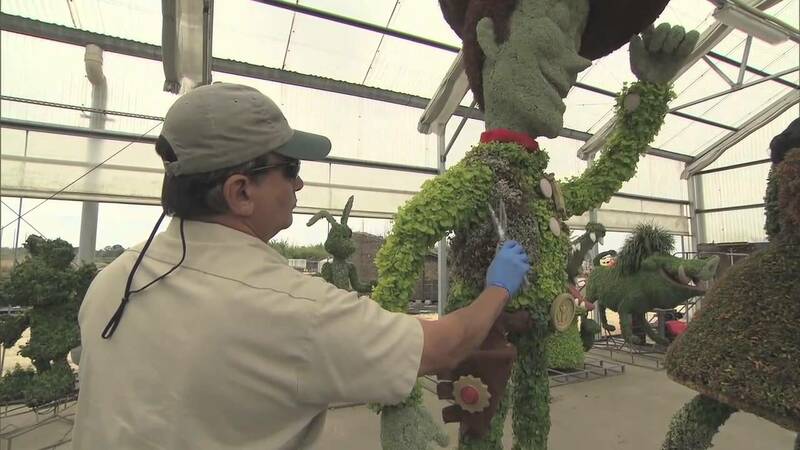 Jan 26, 2018 in "Epcot International Flower and Garden Festival"
The 2018 Epcot International Flower and Garden Festival will offer a new scavenger hunt this year in addition to the returning Egg-stravaganza hunt. From March 16 through April 1, guests can participate in an Egg-stravaganza scavenger hunt - hunting high and low in World Showcase for "eggs" that portray favorite Disney characters. As you find the hidden Disney Character-themed "eggs" in the park, you record your discoveries by placing a corresponding sticker on a specially themed Egg-stravaganza map. Maps and stickers can be purchased for $5.99, plus tax at either Disney Trader, Pin Central or World Traveler stores. When you find all of the “eggs” and complete your scavenger hunt map, you then return it to Disney Traders for a special surprise. New for 2018 is the Spike's Pollen Nation Exploration. In this hunt, Disney's favorite honey bee, Spike, has been pollinating his way around the festival, giving gardeners of any age the chance to follow his pollination trail around World Showcase at Epcot. To get started, pick up a garden map and stickers at Port of Entry. Then, it’s time to look for Spike!